The icy plunge has become some sort of a tradition for winter swimming aficionados, including some elderly residents who claim the nippy dips keep certain illnesses at bay. Eager swimmers hit the frozen Houhai Lake in the centre of Beijing in the early mornings to crack the ice and carve up a pool area. 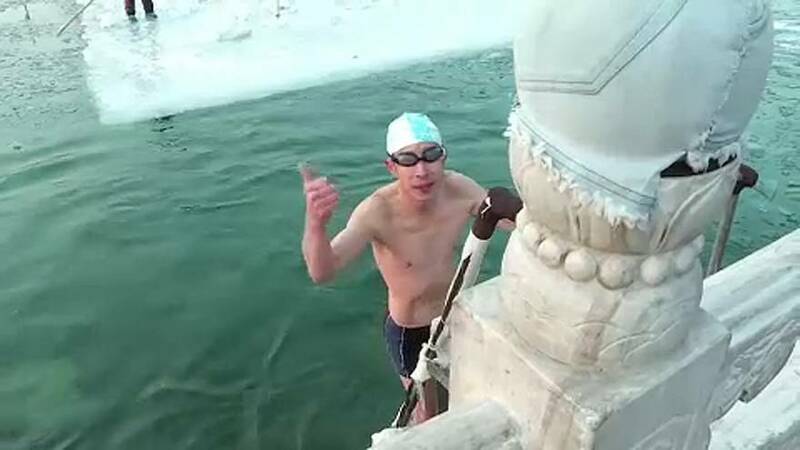 There are more than 1,000 winter swimmers in the capital, according to data from the Beijing Winter Swimming Club.